This beautiful, gently lived in home is located on the 15th hole and close proximity to tennis court, heated swimming pool and so much more! This home comes with many upgrades including shutters thru-out. Granite counter tops, tile and carpet in all the right places. Master bedroom has 2 spacious walk in closets. A beautiful golf course view from most rooms. Custom entertainment center w/ Gas fireplace. 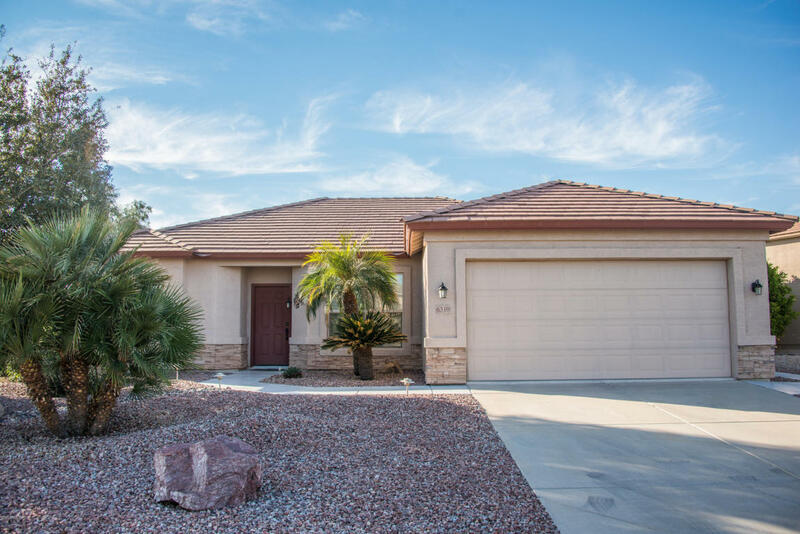 Enjoy the beautiful sunsets from the fully extended covered patio which also includes a firepit w/ benches and mature fruit trees as well as roll down blinds. Beautiful desert landscape front and back on auto watering. Included in sale of home is the electric golf cart and water softener. This gated community offers many amenities including rec center, tennis courts, heated pool and spa,fitness center, ballroom, billiards.